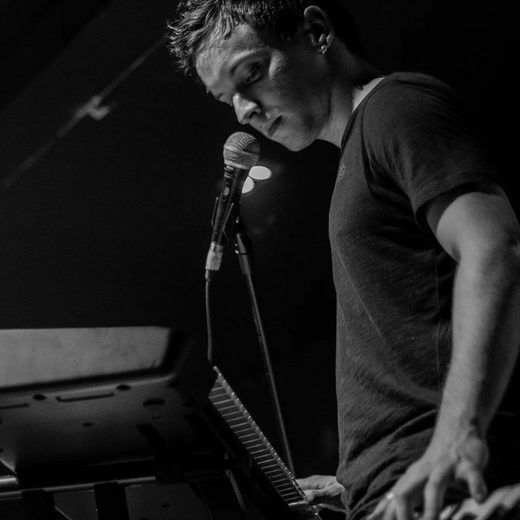 Efraim Alencar is an aspiring Composer, Musician, Producer, Songwriter, and Pianist born in Sao Paulo, Brazil on May 15th,1990. He's been writing his own material since 2004 and has been recording music since 2006 by himself. Today, he currently has a repertoire of over 230 songs written and about 100 demos, drafts, and full complete songs recorded. Has recorded various videos and posted on youtube of him doing piano covers for bands like RED, Oficina G3, P.O.D., etc...When he was 10 years old (Oct. 2000) he moved to Delray Beach, Florida, USA where he lived till 2009. On fall of 2009 he moved to Dallas, TX to study at a seminare called CFNI (Christ For The Nations Institute). But on March 5th 2010,due to circumstances, he moved back to his home town of Sao Paulo, Brazil where he currently resides and works with various musicians/artists known nationally and internationlly. In spring of 2011 he started doing Music Composition college which will take him four years to complete. I HOPE YOU GUYS LIKE MY MUSIC!